Welcome to METU SIAM Student Chapter website! Society for Industrial and Applied Mathematics (SIAM) is the largest international society in applied mathematics bringing together 14,000 individual and 500 institutional members; colleges, universities, corporations, and research organizations worldwide. SIAM promotes the developments in applied mathematics and computational science by advancing the application of mathematics and computational science, encouraging researches that will lead to effective new mathematical and computational methods and techniques for science, engineering, industry, and society. SIAM builds a platform for the exchange of information and ideas among mathematicians, engineers, and scientists. At the annual meetings of SIAM, members have opportunity to meet leading experts in the field, exchange ideas and expand their personal and professional networks. SIAM membership helps to gain benefits from SIAM publications, conferences and subscriptions to SIAM News and SIAM Review. SIAM members are applied and computational mathematicians, computer scientists, numerical analysts, engineers, statisticians, physicists, educators, and students from over 100 countries working in industrial and service organizations, universities, colleges, and government agencies and laboratories. SIAM supports students and early career researchers to attend conferences. Further information of SIAM membership can be found at https://www.siam.org/membership/ . SIAM offers to student members many opportunities like online resources on education and careers. SIAM started early in 2000 to create Student Chapters in colleges and universities, involving students and faculty members from different departments. The purpose of a chapter is to generate interest in applied mathematics and computational science and to share ideas and enthusiasm with fellow students and faculty from any relevant department on campus. There are currently over 180 Student Chapters worldwide. METU SIAM Student Chapter is the first and unique Student Chapter in Turkey founded in 2004 at the Institute of Applied Mathematics. Since then, METU SIAM Student Chapter has run by a volunteer group of graduate students from the Institute of Applied Mathematics. Along the lines of the objectives of SIAM community, METU SIAM Student Chapter maintains links between Chapter members and renowned faculty from any relevant departments, allows sharing ideas and experiences of applied mathematics in industry, giving information related to careers and job opportunities. We welcome to all interdisciplinary and faculty members from all mathematical sciences, statistics, computer science, engineering, economics, physics and other sciences as a METU SIAM Student Chapter Member. We encourage joining METU-SIAM Student Chapter. 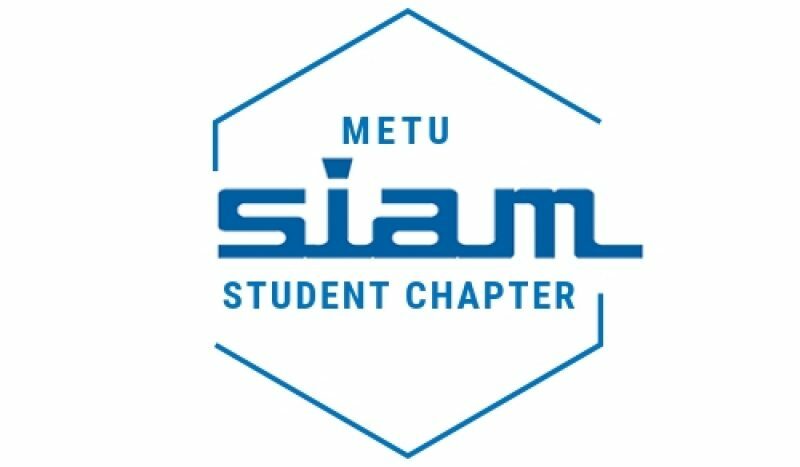 If you are a SIAM member, you can join METU SIAM Student chapter by filling member registration form of Office of Cultural Affairs of METU . If you are not a member of SIAM, first become a member of SIAM from this link (https://my.siam.org ), then register to Office of Cultural Affairs of METU. You can also follow us from our Facebook group.